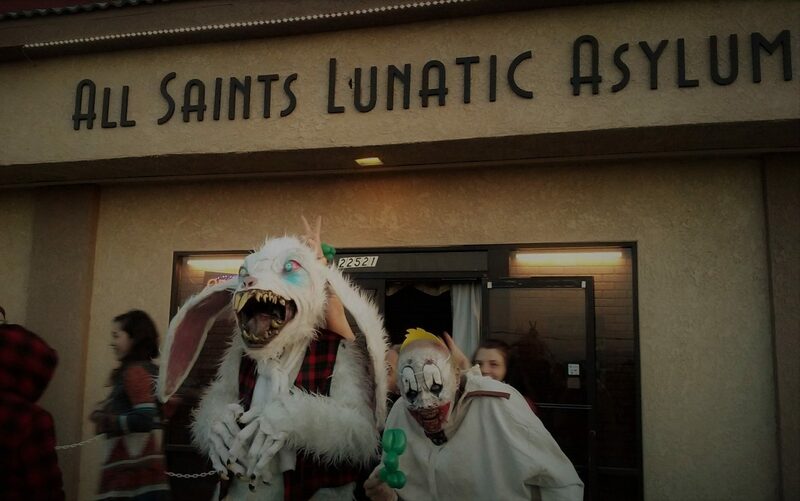 Description: After a three-year hiatus, the only "skeleton carnival" Halloween yard haunt returns to Los Angeles, this time described as the "Halloween Magic Wonder Show of the Universe." 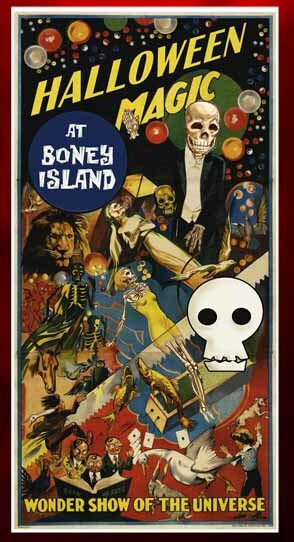 During their break, the skeletons at Boney Island decided to take up magic. Now, after three long years, they want to put on a show for you... Don't expect much. We assume the self-deprecating tone of the last sentence is a preemptive attempt to prevent excess expectations from running too high. When Boney Island rolled up its tent a few years ago, many of the old props were auctioned off, so the new incarnation is likely to be much different from past ones.